I’ve put together the best staycation ideas for families because traditional vacations can be expensive! Creating lasting family memories doesn’t have to come with a hefty price tag. Even if you can afford a nice getaway to a great location, traveling with kids can be HARD, not to mention, exhausting. How many vacations have you had where you felt like you needed a vacation to recover from the effort? A family staycation is a great alternative. Not only are they way more affordable (no transportation or hotel fees), but they’re also much easier. No packing, no major changes to environment or routine, and if family members lose interest or energy, the comfort of home is right there! The biggest challenge when it comes to family staycations is coming up with fun things to do so that you don’t end up doing the same things you do any other day. Here are some of the best staycation ideas for families that will shake up your routine without leaving home. My goal when choosing the best staycation ideas for families was to come up with ideas that would be super simple to implement. This way, it’s too easy to do SOMETHING so you don’t end up doing NOTHING. Break out the tent and supplies and head to the yard for some camping. No one said you had to be in the wilderness to enjoy camping. Plus, it’s nice to be able to run inside if you need to use the bathroom or to take a shower. As long as you’ve got hot dogs and marshmallows for roasting, chances are the kids will be happy. Does your family love movies? Why not do some really fun movie-related activities? During the first part of the week, work on writing a short script for a movie. During the rest of the week, you can actually make the movie. It’s something that’s completely free to do. Other activities you can do through movie week include movie marathons, movie-themed menus, and playing movie board games. Not to mention heading out to see at least one new release at your favorite theater. Chances are you live within driving distance of a park or beach. Take one day to go exploring. If you have little ones, take pictures of all the cool stuff you find and then research it when you get home. It’s an educational outing that won’t feel educational. It’s also an inexpensive way to get out of the house for the day. 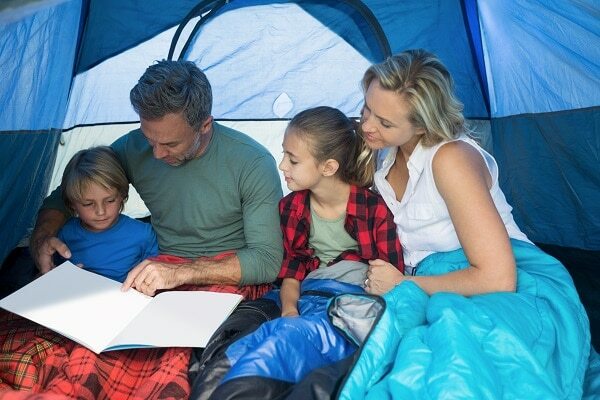 Check out some of our favorite outdoor family outings. Crafts, cooking, baking…Do a fun DIY during your staycation. You may even decide to attend a local craft class. Another idea would be to redecorate your kids’ rooms. A coat of paint and moving the furniture around can do wonders. Projects like redecorating are way more fun (and get done faster) with the whole family involved. Make sure to take plenty of before and after pictures so you can relive your home makeover transformations! People never seem to take advantage of what their own cities have to offer. Spend time going where the tourists go. It might be a museum, theme park, or even an ice cream shop. If you were a tourist, which places would you want to see? Last, but not least, let everyone in the family choose something to do one day of the week. For example, dad might want a movie marathon, while your son wants to go bowling. You might want to spend the day doing crafts and your daughter may want to go hiking. Let everyone decide what you’ll do one day of the week. On the other days, choose activities that everyone in the family enjoys. I’m a book lover, so aside from internet searches, books are my go-to for ideas and information. 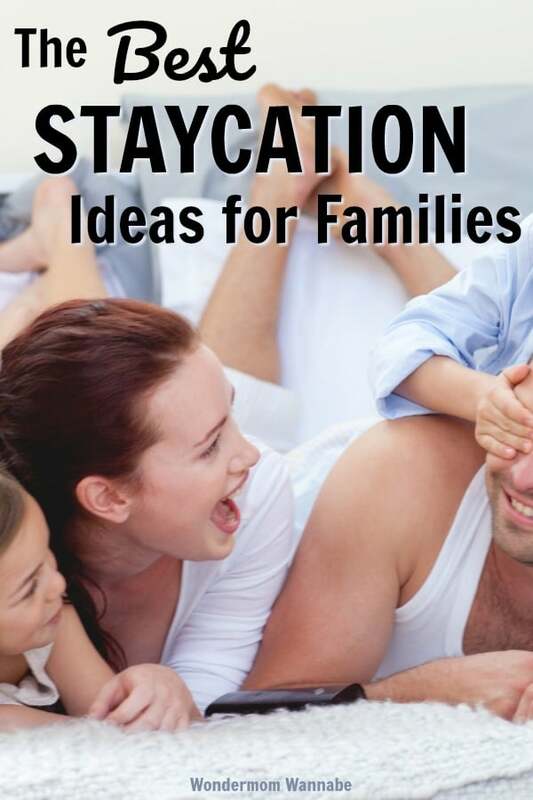 If you’re looking for even more family staycation ideas, check out The Great American Staycation and Staycation: How to Get Away Without Going Broke. Both books are available on Amazon. If you want to step up your staycation game, you’re going to love this editable Family Staycation Kit. For just a few dollars ($5), you’ll have everything you need to make your staycation feel like a true getaway. A staycation doesn’t have to be boring. There are so many things you and your family can do without even leaving the area. 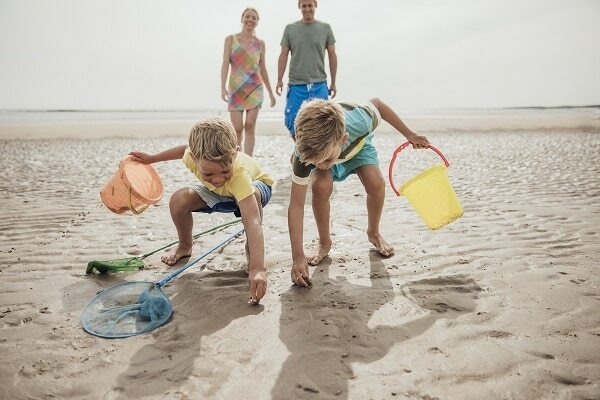 Whether you love watching movies or want to explore your hometown with new eyes, there are plenty of family staycation ideas that your family is going to love. For a few dollars more ($7.97), you can get an even more comprehensive Staycation Kit from the Dating Divas. And because the Dating Divas are committed to helping couples connect, this kit comes with a couple of bonuses for mom and dad to enjoy after the kids are in bed.